A moment in front of the Chicago Institute of Art on my first night. Each fall, November brings the NWP Annual Meeting and the NCTE Annual Convention, two events that mark the new year in my professional life. This year was no different, yet quite different at the same time in the sense that the NWP as we have known it for so long is no longer. We are adjusting to what many are calling the “new normal.” Since the elimination of federal funding this past spring, the NWP has been scaling back, and this annual meeting was a tangibe result of that process while, on the other hand, the NCTE convention seemed as big as ever, celebrating its 100th birthday in the town where it all began, Chicago. For me, this annual pilgrimage becomes a chance to meet with colleagues, share new ideas, reaffirm our beliefs about teaching, and to identiy the latest technologies to support readers and writers. From the moment I got on the train last week to the ride home, where I am composing the bulk of this blog post, I have been offered hugs, handshakes, and smiles from countless colleagues, both those in Michigan who I sometimes only see in November and from others around the country and, this year, around the world. As an opportunity to reaffirm my convictions about teaching and in the strength of educators, NWP and NCTE have always been the cornerstone for me. Yet, this year is different, as noted above. The NWP Annual Meeting was subdued, perhaps even sad. Still, the work continues, and I document my days in Chicago with as much detail as I can remember, with hopes that this reflection will be useful to others, too. The morning began early, with a breakfast meeting that found Paul, Steph, Michelle, and I tucked in a corner of the Corner Bakery, putting the polishing touches on our NWP session, “NWP Connect Community Builders.” This was a chance for each of us to share one case study related to our use of NWP Connect, and I talked about how the NWPM network used it during out advanced institute last summer. This led to a smart conversation about how sites can use NWP Connect to continue engaging in site work. 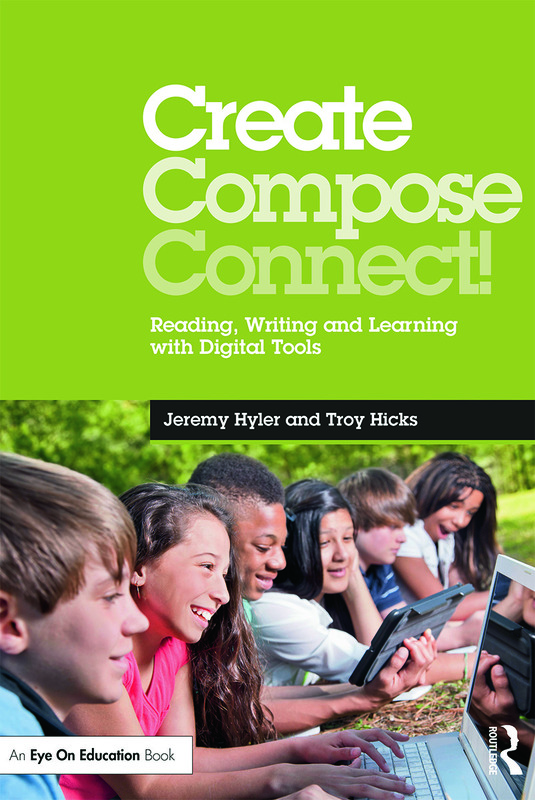 Rather than focus on the tools, we talked about the many elements present in NWP Connect could be used by TCs as the organize Summer Institutes, Professional Development, Continuity, and Youth Programs. In the afternoon, I found myself engaged in conversations with other site directors and, in all sincerity, found myself asking them “Why are you here?” Please understand that we had already had many opportunities throughout the day to express our concerns and, indeed, our remorse over the loss of federal funding. Yet, I was still surprised at the bitterness and anger that permeated that conversation. When one of my close friends and colleagues was struggling to figure out a plan for moving forward, I asked her why she was here, at the NWP Annual Meeting, if she didn’t see a purpose in her work. This led to a broader conversation about what we value as teacher educators, reminding us of the importance of what it is that we do. That was Debbie Meier’s message from lunch, a message that was meant to be hopeful, and I hope that I was able to refocus that conversation. In short, the NWP Annual Meeting was bittersweet, and moving forward in this new educational and financial landscape remains a task that will be both challenging and rewarding. Our luncheon speaker was Deborah Meier, and that was inspiring to hear from a seasoned educator and real reformer. That said, is anything in education NOT ever both challenging and rewarding, simultaneously? LDH: Evidence from NCLB is clear: lower test scores, more drop outs. Hooray for “evidenced-based” education… #ncte11 There are other ways! #ncte11 Sadly, our school system is doing a great job at what it is designed to do: replicate inequality, demoralize teachers and students. LDH: Anatomy of inequality diagram. 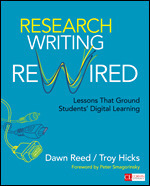 We are moving backwards since the 1980s #ncte11 ow.ly/i/lyF4 We know what to do, now do it! #ncte11 What does the fact that we are laughing at Ferris Bueller clip 20 years later tell us about ourselves? Our colleagues, profession? #ncte opens its second century w/ an award to Linda Darling Hammond and a standing ovation. Great start to #ncte11 ! The next session gave me opportunity to (finally) see a presentation by a long-time friend, Jennifer Collison, who invited us to write and think about the connections between film and literature. Also, in that session, another NWP teacher, Nick Kremer, presented his work on using comics to teach writing. He gave us some ideas from Scott McCleod‘s work, and then asked us to compose our own “sequential art narrative” using William Carlos Williams‘ poem, “The Act.” In the spirit of creativity, I made a short, digitized version of the nine-panel comic that I drew, repurposing the original text of the poem in the background. I was also able to take in a brief session on globalization and then headed to the CEE Luncheon to hear author Rebecca Skloot. Her book, The Immortal Life of Henrietta Lacks, has become a best seller, and I read it over the summer. Her backstory as an author was interesting, weaving her history in school (including, essentially, dropping out of regular high school only to complete alternative high school in 18 months, and heading to college at age 16). She also talked about the obsession that she had with writing, biology, and, of course, Henrietta Lacks, which all combined in a ten year pursuit of the story that led her to craft the book. Hearing the story of an author, especially one who writes creative non-fiction, was inspiring, to say the least. The evening found me in conversation with my colleagues from the Chippewa River Writing Project over a family-style, Italian dinner. We each talked about our big take aways from the day, as well as what we would hope to have happen for our site in the coming year. I think that we are on the right track, and the enthusiasm they all shared reminds me of our shared goals as colleagues in a writing project site. We will, of course, have to think about our finances and our mission in relation to what we are, and are not, able to do, but I am confident that our decision-making will be guided by our shared knowledge and experiences from NWP/NCTE this year. I will start my thoughts on Saturday by working backwards from the NCTE 100th birthday party and my first visit to the annual Scholastic dinner. Despite my general wariness about the role of publishing companies and textbooks — and their effects on students, teachers, instruction, and assessment — I feel that the words of the Scholastic CEO are genuine and that the family history and philosophy of the company is one that aligns with NCTE. It was good to be a part of this centennial event. Now, back to the morning. I began my day in a great conversation with Kristen Turner, talking about data that we had collected from her writing methods class in the spring. 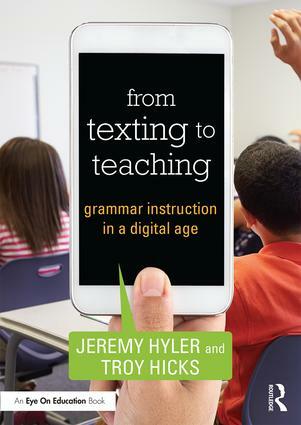 That data had revealed some “opportunistic tensions” in the ways that pre-service teachers described their own experience with digital writing and what they (perceived they) were able to do in the classroom. That led us to our morning session, “Writing Our Inquiry,” where Kristen, Kia, and I reported on our experience with last year’s CEE Colloquim on multimodal/multigenre writing. We had a small, but participatory crowd, and the conversations about digital writing in pre-service teacher education were valuable. Kristen and I have plans to write an article, and I enjoyed having the chance to talk with her about our work. 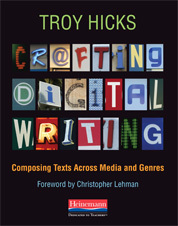 Then, in the afternoon, I got to see my friends and colleagues Bill Bass and Franki Sibberson talk about “digital mentor texts,” and they shared some great resources on how to help students think about identifying and using mentor texts to create their own digital writing pieces. Bill especially gave some great examples that helped me think how to talk more about the craft of digital writing, and we carried that conversation well into the evening. I hope that there are some collaborations that may come from these ideas. And, now on to today. I have to admit, I kind of stayed away from the conference sessions until it was actually my turn to present. I had some wonderfully productive conversations with my long-time MRA colleagues, Amber and Sue, which led them to give some great insights into what I want to write for my upcoming book. 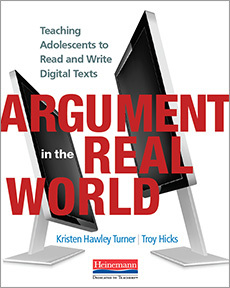 This led to a conversation with my editor from Heinemann, Tobey, who again offered some great ideas and has given much to think (and write) about in the coming weeks. Where is the research that shows it works? Where is the tie to common core? When do I have time to learn how to do this myself? I am afraid the students know more than meWhere do I even begin? I am teaching to my strengths – that doesn’t include this. How will they function when the world ends? Where is the discursive space for critique? That media project doesn’t product the same quality as does my beloved 5 paragraph essay? My district has no money for this. If I use it, won’t they just play games when I’m teaching? I don’t want my kids’ work online. It kills their brain cells, right? I am not sure exactly how best to answer all of the questions, except to say that we need to shift paradigms, as I have said before. I think that Bud, Sara, and I have been consistently on target with our message over the past three years, and our article that will be appearing in English Journal next year. It almost goes without saying, but I suppose it needs to be said… the time to act is now. We still tried to share many ideas with people though, all of which are outlined in our Google Presentation, Google Doc, and recorded in the archived version of the webinar, available here. Since this was the tone on which we ended the conference, I am not quite sure what to think. As I sit here on the train, talking with my good friend and colleague Aram Kabodian (who is making a much more engaging and playful video about his experience in Chicago, which I am sure he will post to his blog), I am a bit disheartened. NWP was not, and will never again, be the same. At NCTE, while we wanted to have audience members this afternoon grab the bull by the horns and become advocates for themselves and their students seemed, instead, to end with a whimper, not a bang. And, finally, as I look ahead to what will happen for our site, Chippewa River Writing Project, I am just not sure where things are at, or where they are heading, although I know that we won’t stop. As with many reflections of this nature, I come home from NWP/NCTE very tired, and a bit sad, although not for the normal reasons of leaving friends and colleagues behind for another year. This time, sadly, I think that I have finally said “good bye” to the NWP as I have known it, and I am not sure what my future holds. No matter what, I will return to NCTE in future years to share my knowledge and experience, learn from my colleagues, and renew our faith in teaching writing. That, I know, will never change. Thanks for posting such detailed notes about your NCTE session. I especially appreciate being able to spend a little more time with the list of yeah-buts. 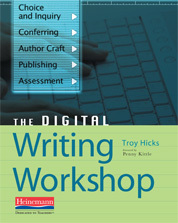 But I must admit to a lingering sadness about your description of the NWP session; it’s hung over me since I read this. Ah, well. To paraphrase an old political sentiment, even with all the changes, one thing remains true: it’s the writing, stupid.